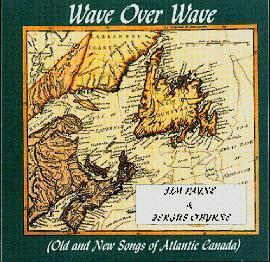 This recording started with a set we did at the 1994 Newfoundland and Labrador Folk Festival, when Graham Stairs of Latitude Records suggested we record a collection of old and new songs based on shared vocals and the traditional lifestyles and industries of Atlantic Canada. It seemed like a good idea and this is the result. We included the Net Hauling Song because it fits the concept of the album, it's a great song and Fergus already knew it. Same goes for the Rig Workers Alphabet, a contemporary addition to the ABC's of work. We had great fun recording it, so we hope you sing along and enjoy it.